An ambitious North East architects’ practice is hoping to build on the success it’s enjoying both at home and abroad by breaking into a range of new markets. Over the last two years, Sadler Brown has seen its headcount increase from eight people to 28 as it has won a number of major new design contracts, including two new train stations in Riyadh, a harbour extension in Aberdeen, infrastructure work for Nexus and Network Rail, and an apartment scheme in the Ouseburn Valley. 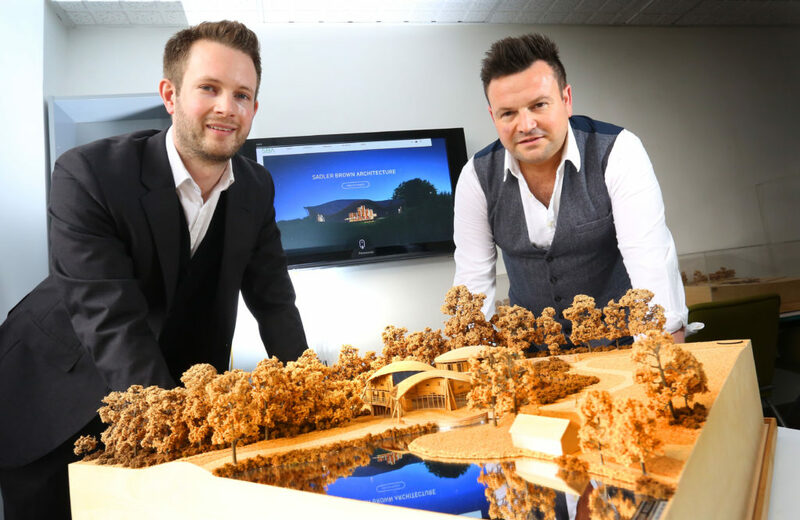 The Newcastle-headquartered firm is aiming to break through the £2m turnover barrier and reach 50 employees in the next year as it applies the team’s growing range of skills to contract opportunities in the leisure, health, financial and public sectors. A new member of staff with specific expertise in successfully completing public contract tenders has recently been taken on, while further recruits are being taken on as and when particular new skills are required. To access the capital it requires to address these business development opportunities, Sadler Brown has worked with regional fund management firm NEL Fund Managers to obtain a six-figure investment from the Finance For Business North East Growth Fund after NEL was recommended to them by Inspire Financial Management. The practice that eventually became Sadler Brown through a series of mergers was set up 18 years ago by its current creative director Kevin Brown, and managing director Tony Harmieson joined the firm in 2015 with a brief to use his business and financial background to drive the business forward. It is one of just a handful of UK architecture practices to be delivering projects to BIM (Business Information Modelling) Level Three accreditation, and it is set to have its work featured for a second time on Channel Four’s flagship Grand Designs programme later in the year. Tony Harmieson says: “We’ve grown quickly over the last two years, and while hitting the targets we’ve set ourselves will be a challenge, we’re convinced we have the strategy and skills in place to do so. “We’ve won some real stand-out projects over the last couple of years, most especially the landmark Riyadh station schemes, and the range of expertise required to fulfil such contracts is helping us to build further within our growing team and then apply them to other markets that our company hadn’t tackled to date. “We knew we needed more financial headroom to take on these opportunities, which often involves investing in projects a long time before we get paid for them, and diversifying in this way will spread the risks that naturally come with working in our industry across a far wider range of sectors.